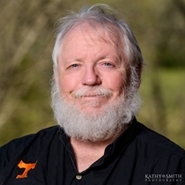 The LeConte Photographic Society will host a photo program by Tyson Smith on Saturday, March 23rd at 10:00 a.m. at the King Library in Sevierville. The program will be on “Macro Photography and Focus Stacking”. Anyone is welcome to attend. The program is free and open to the public. This is not a library sponsored event. Macro/close-up photography explores the world of the small and the detail. We will be talking about how to capture the image you envision whether it is a flower, a bug, a product or an abstract design. We’ll cover exposure, composition and shooting optimal images and many of the tools that will help you do this better with tiny subjects. Then we’ll look at some ways to control the depth of field, whether you want more or less of it, through focus stacking. If macro isn’t your cup of tea, luckily, most all these techniques apply to the big world too. After retiring from a long healthcare career as a pathologist and chief medical officer, Tyson moved to Townsend, TN and plunged into his interest in photography. Most of his personal work explores nature with an interest in macro subjects, probably based on whatever drew him to pathology. He also works with his wife, as a second shooter, in her wedding and portrait business.